I can’t believe I never posted this! This is what my family ate on Christmas Eve. I’ve been having this dish since I was 2 years old. It’s a tradition and I wanted to document it for future reference. 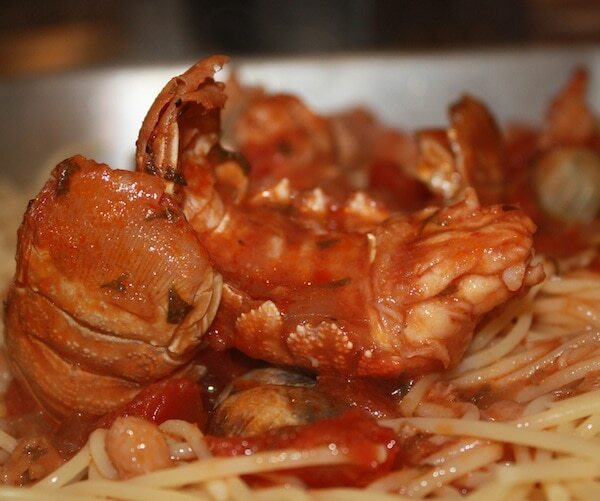 Are you looking for a SUPER easy recipe for seafood pasta? Then this post is for you! Sautee onion and garlic and pepper flakes in oil. 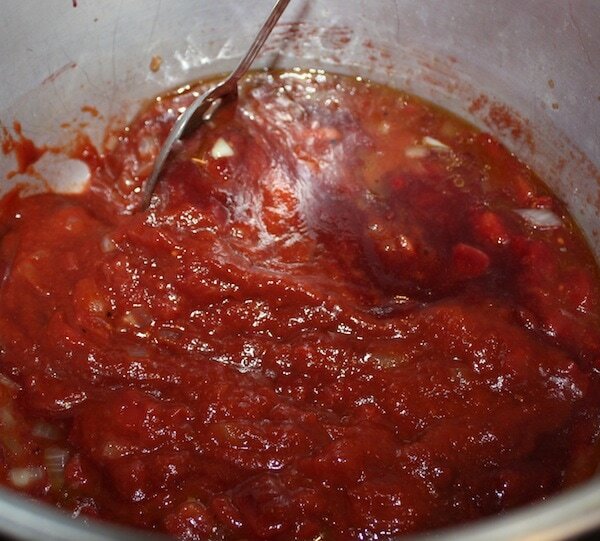 Then add wine and sauce. Bring to a boil. 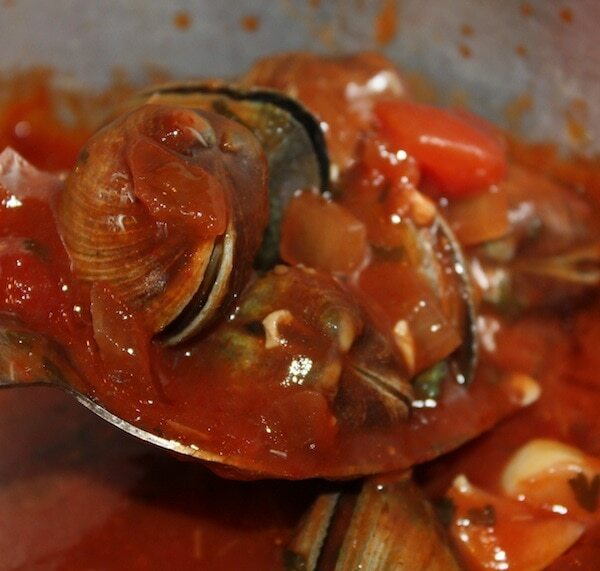 After it cooks for about 20 minutes, add your clam sauce. Then put in clams, lobster tails, shrimp and scallops. 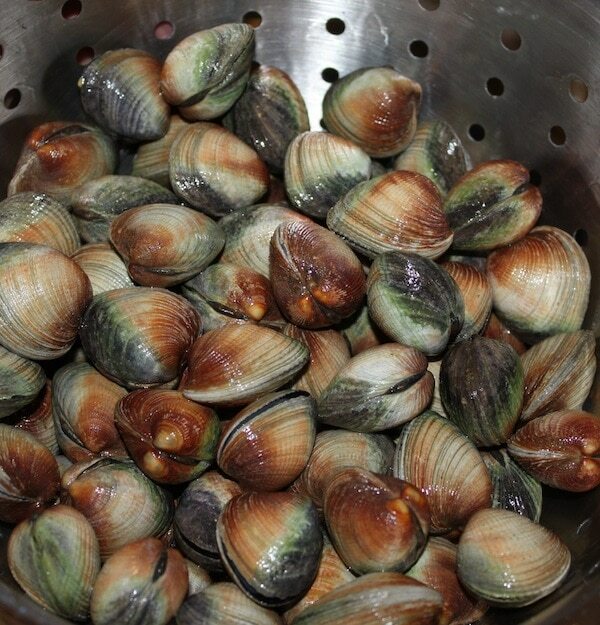 Bring back to a boil. If the clams are open, and your shrimp / lobster tails are pink – you are done! Serve with pasta. Thanks for posting this recipe. Is this one of the traditional Feast of the Seven Fishes dish?